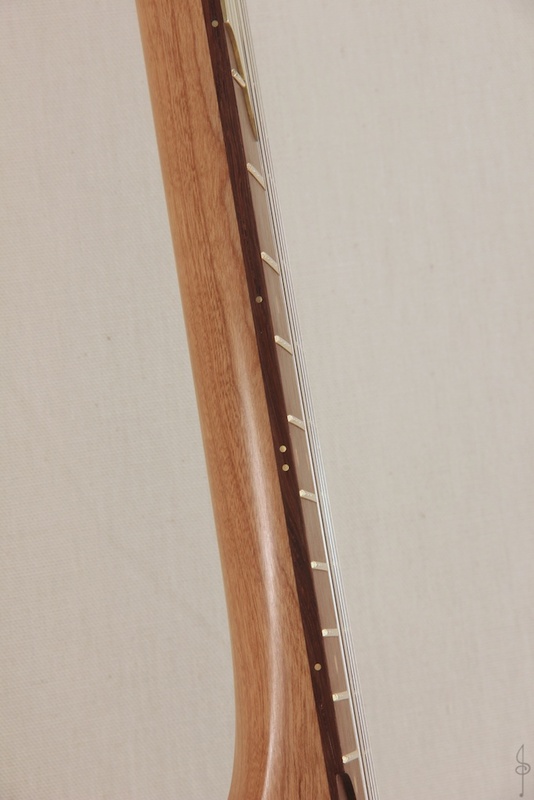 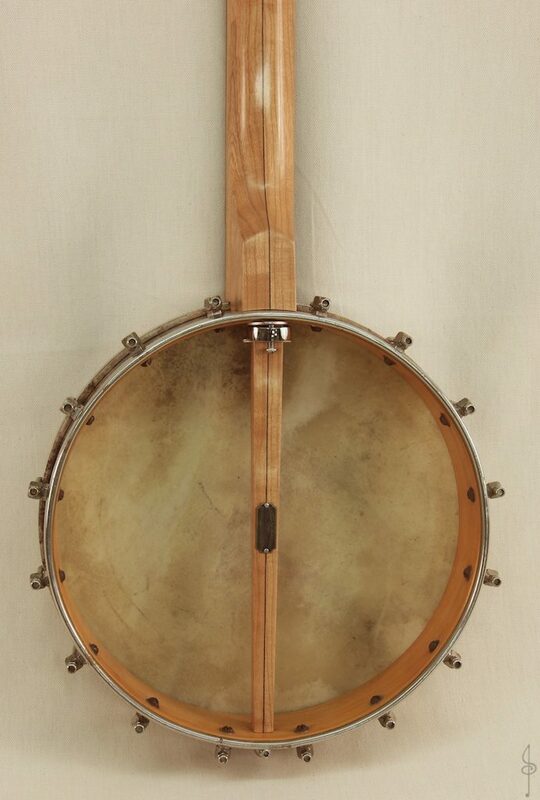 This banjo project started out as an existing S.S. Stewart banjo with a spunover rim that needed a new neck. 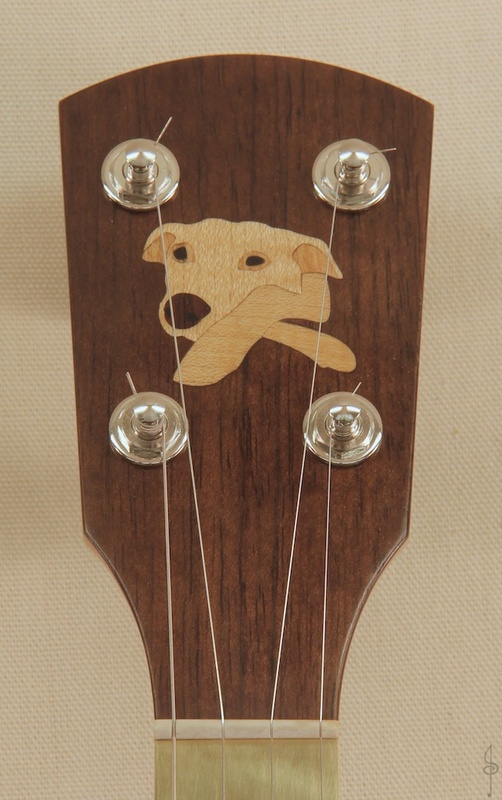 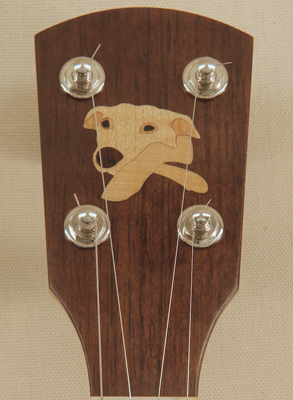 The owner wanted to have a tribute to his dog inlayed into the peghead so I took a picture he sent me and drew it as an inlay using different wood species for color and contrast. 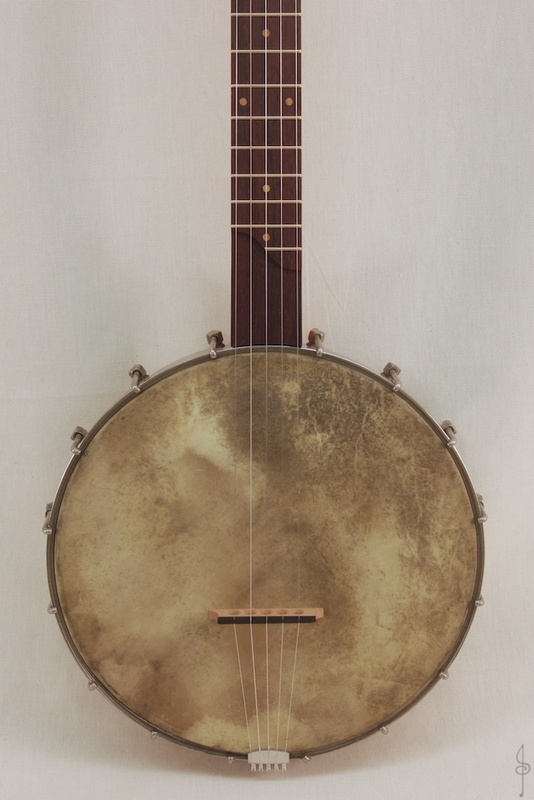 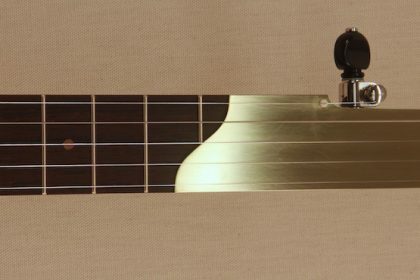 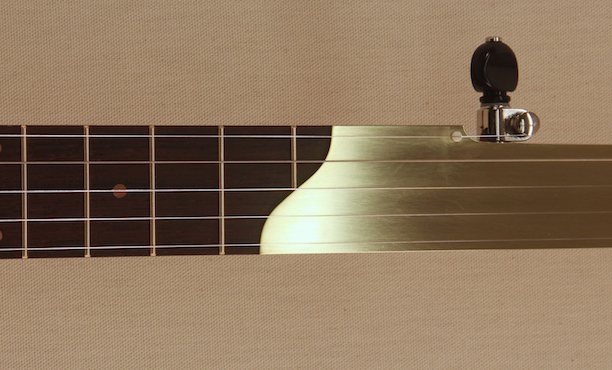 A great way to get a modern playing vintage sounding instrument.